An excellent book review, Dawn Rae. Clearly your background in social work gives you a good understanding of what both physical and mental abuse can do to a child and how it can form the adult she becomes. 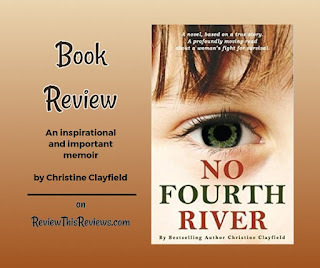 Your review has encouraged me to read Christine's story. A most excellent review of a book that was, no doubt, very difficult for the author to write. I trust from your words that the book has the potential to have a huge impact on others who have suffered from abuse, and those who are currently being abused. Victims need encouragement and understanding, not pity or recrimination. Having a role model who not only survived, but is now living a happy life, can make a world of difference to someone still living in the shadows of abuse. The fact that you consider this one of the most important books you have read in a long time tells me volumes. I do like to read about overcoming. Thanks for bringing this to my attention. I hope to read this book.